I’ve always liked this photo of Obama. Very debonair and Rebel without a Cause. Add the pixelization of the eye area and it adds an odd air of mystery, which is unsettling, yet inviting. I like it. Cool shirt. 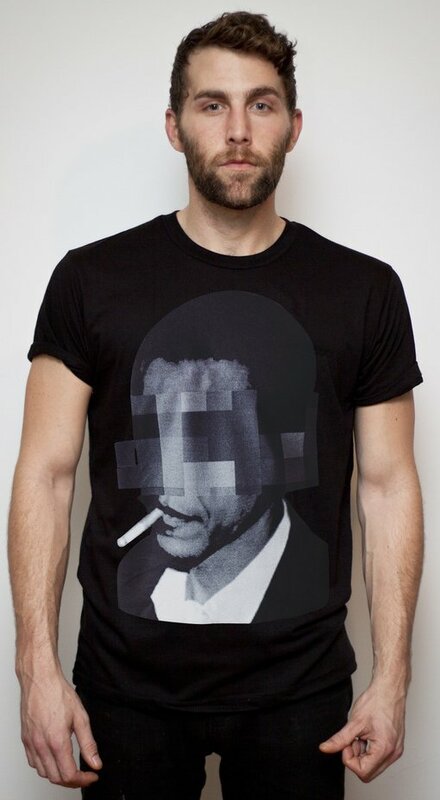 Just don’t wear it around kids, because you’ll basically be forcing them to pick up a smoking habit because the Prez looks so damn cool doing it.